In our annual Hangout Handbook, Exclaim! asks some of our favourite artists to discuss their favourite hometown haunts. Here, A Tribe Called Red's Bear Witness outlines his picks for Ottawa. Benny's Bistro (119 Murray St.) has been my favourite brunch place for years. It's in the back of a bakery that makes the best croissants in town. If I could, I would take you there in 2006 when one of my closest friends worked there. Annie always took good care of me. Arts Court (2 Daly Ave.) is the old courthouse building in the centre of downtown. After the new courthouse was built, the city gave it over to the arts organizations. It's home to the Ottawa Art Gallery, Art Engine, Saw Video and Saw Gallery, just to name a few. Some of my favourite memories are of times spent in the basement at Club Saw, where I worked once upon a time, and at the courtyard parties. The Loft Board Game Lounge (14 Waller St.) is dope! They have a huge selection of games. Last time, we went to just play one game and ended up staying for hours trying different ones. I recently moved out of the Centretown neighbourhood that I had lived in for years. The day I moved into my new place in the west end of the city, I found Bowman's (1170 Carling Ave.), a great pub a few blocks away. The food is awesome and the staff and owners are super friendly. They have the best deep fried pickles I have ever had, they come with homemade ranch. Come on! I love comic books and toys and The Comic Book Shoppe (228 Bank St.)never fails me when I want to find something to fit my collection. I have found some real gems in their vintage toy section. One time, I found a complete set of Pocahontas toys on the card, and another time I found Tex Hex, Handle Bar Moustache and Laser-Fire Brave Starr. The Whalesbone (430 Bank St.) is the kind of place I like to go for my birthday. Best place for oysters and seafood in town. But it's also a super chill environment. One of my favourite things about this place, besides the food, is that they have a record player behind the bar that plays all the music in the restaurant. Also, the kitchen is run by my good friend, chef Michael Radford, part of the BellyFull Sound System dancehall DJ crew I played with years ago. Babylon Nightclub (317 Bank St.) was the birthplace of the Electric Pow Wow, Pow Wow Step and A Tribe Called Red. But I'd like to take it back to before our time there to the early 2000s, when a crew called Jokers of the Scene ruled the Ottawa club world with their party Disorganized. Their parties were truly inspirational. Not only did they bring DJs like Diplo and Flosstradomus to Ottawa, long before their stardom, they also pushed the standards of what a club experience could be. Employing local artist, Ryan Stec, to VJ. Sometimes even dedicating the entire stage to video projections and DJing from the side of the room. It was during these nights that I got my first opportunity to VJ. Recently, the city has got some new late night spots for food. But the Elgin Street Diner (374 Elgin St.) has a long history of being one of the only 24 hour places for food. At two a.m. on a weekend there is a lineup out the door. I have had some epic late night grilled cheese and bacon feasts there. I grew up in Toronto and back then, no one was making poutine there. So when I first moved to Ottawa in '95, poutine was a foreign thing to me. Sasha's Poutine (35 York St.) has been and continues to be a staple in the Byward Market and although poutine isn't unique to Ottawa the experience of Sasha's is. 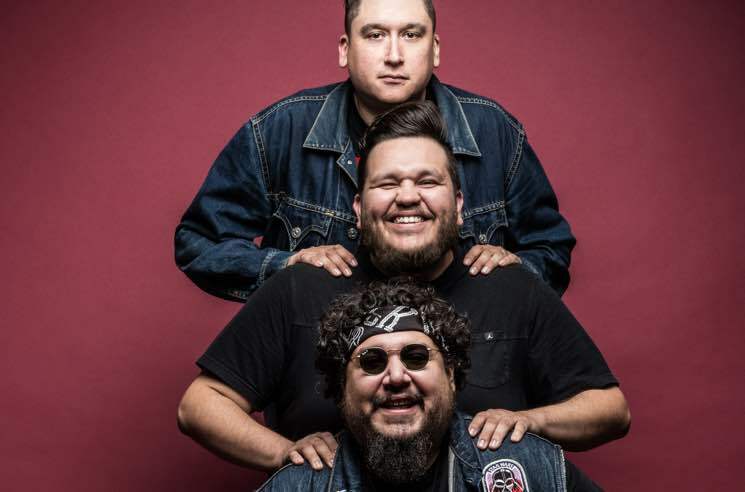 Bear Witness is a member of recent cover stars A Tribe Called Red, who released their latest album, We Are the Halluci Nation, in September on Pirates Blend.